If you have boxwoods on your property, bend over and take a listen. No, you haven’t suddenly become the plant whisperer! 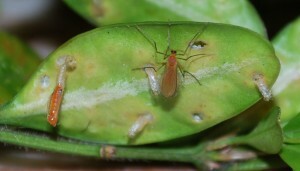 What you are hearing is not the boxwood talking, but the late-stage larvae of the boxwood leafminer, Monarthropalpusi flavus. It literally sounds like the snap, crackle and pop of a bowl of rice cereal. 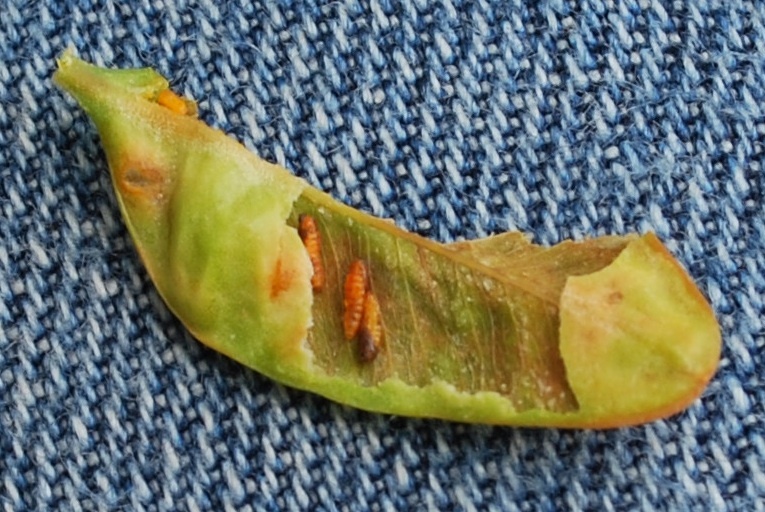 At this point in the boxwood leafminer lifecycle, the larvae are feeding vigorously (and doing a lot of damage) inside the leaves and getting ready to pupate. 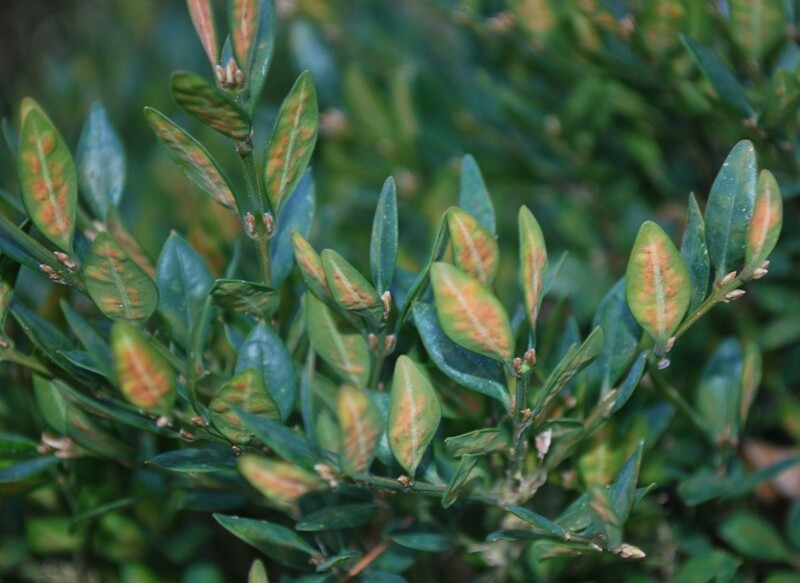 We usually expect boxwood leafminer adults to emerge from their mines in late-April, however, in sunny locations we’ve seen some flying already. Shake your shrubs and look for the tiny, orange, mosquito-like flies to swarm or use a sweep net to determine the adult emergence on your site. Several contact insecticides are labeled for use on adult boxwood leafminers. Trying to kill tiny, mobile flies, however, might not be the best strategy. On sites with severe infestations, the application of a translaminar product, like acephate (at high rates), or a systemic material with rapid uptake, like dinotefuran, may be your best bet now. Your window of opportunity for that strategy is closing fast – we generally recommend late-March – so get to the site now or hang on and wait and see what happens. Be aware that these insects have one generation per year and are slow to develop in infested leaves. Evidence of ongoing infestations is not clear until late summer and most of the damage occurs in the late winter and early spring. The formation of numerous blister-like blotch mines in late summer indicates an active infestation. If the insects are present at that time, the use of a soil drench or foliar spray of a systemic insecticide would make a prudent choice. Go ahead, nobody is looking, take a listen!